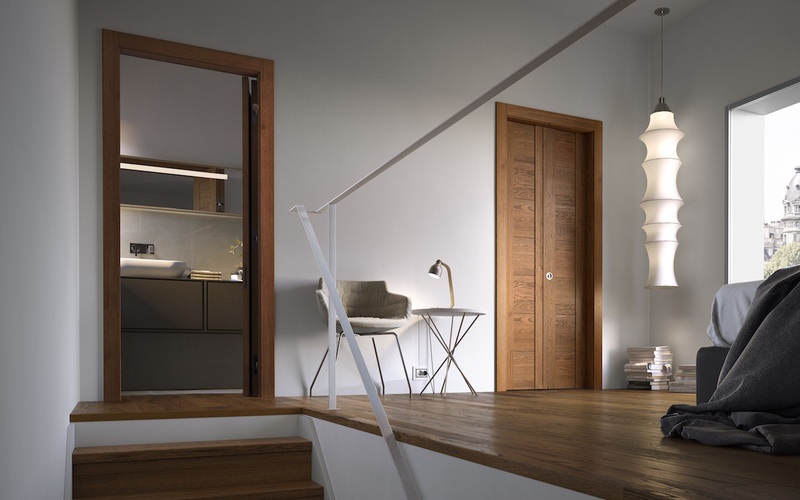 Doors: what are the main types of opening? To each is own door! The traditional door, which is fixed to the opening on one side using hinges (which can be concealed or visible), and which turns to open. 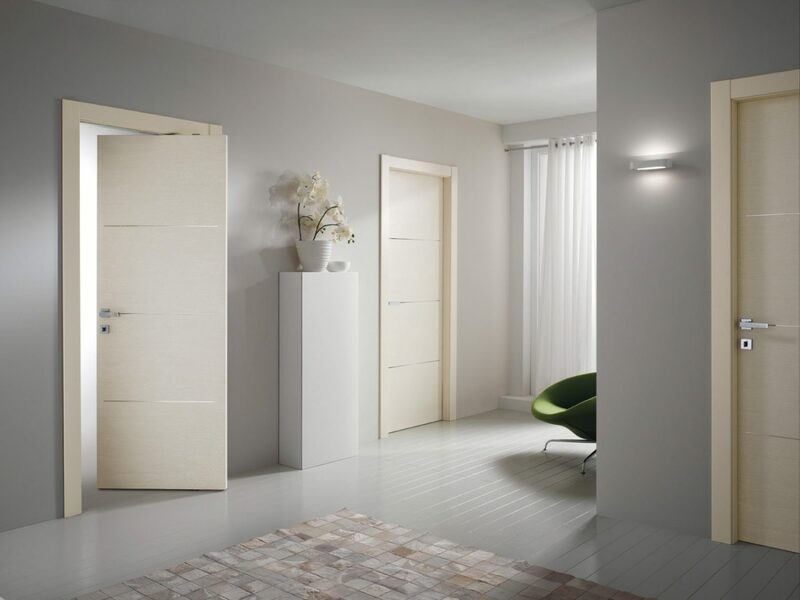 This door, with its easy, practical opening action, is usually cheaper than doors of other types. 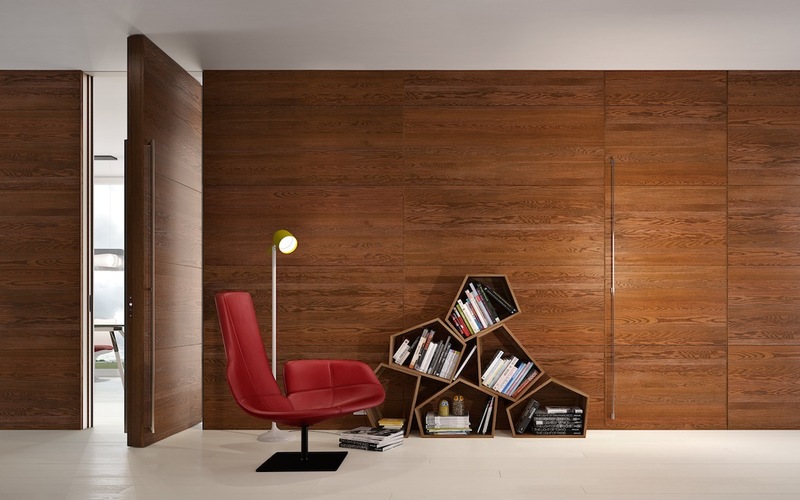 A boxed subframe allows the door to slide into the wall. It is important to make sure that this latter does not contain any columns or flues. 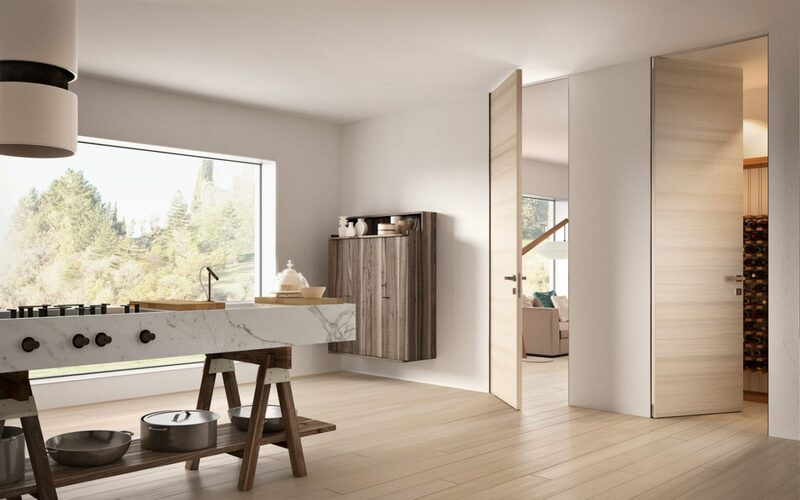 The interior sliding door guarantees the maximum results in terms of space saving. 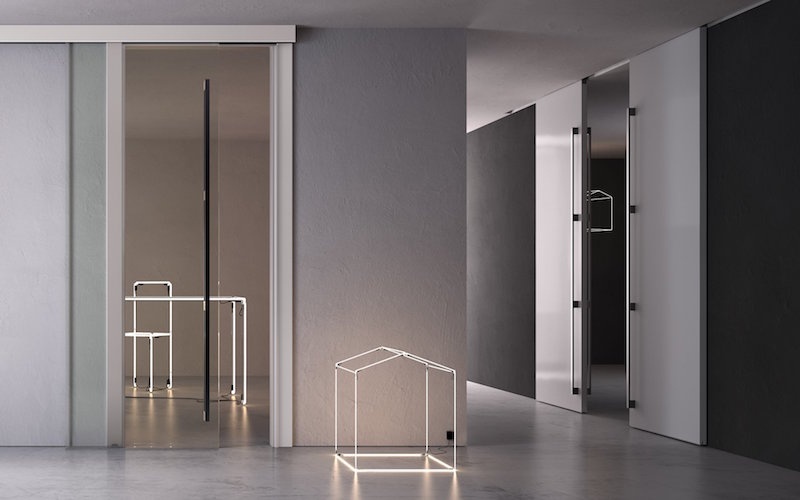 Telescopic tracks or slide guides allow the door to slide parallel to the wall or – as in this solution – to a glass panel, overlapping it. It does not require any masonry for installation, and is also very decorative. The door turns on itself and swings fully open thanks to a pin. Sliding towards the side of the opening, it reduces overall size greatly compared to a hinged door: this in fact means a gain of 50% space. The panel is cut into two moving sections that slide and pack together on one side. 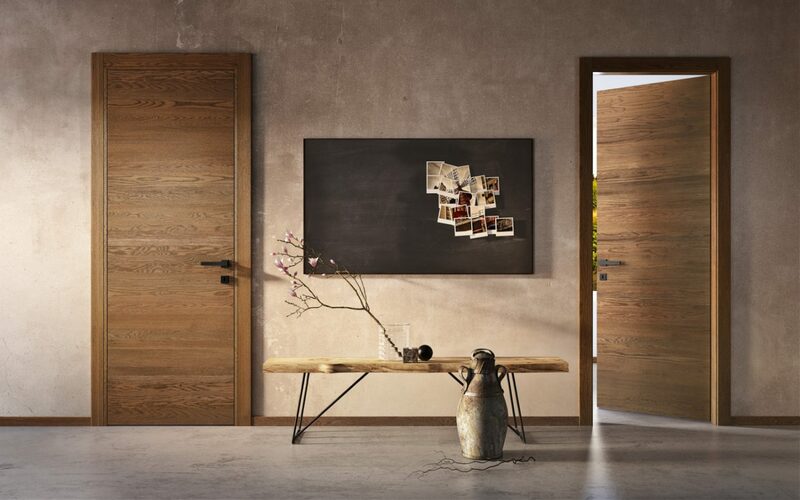 The sections can be symmetrical or asymmetrical (as in our Mix door). 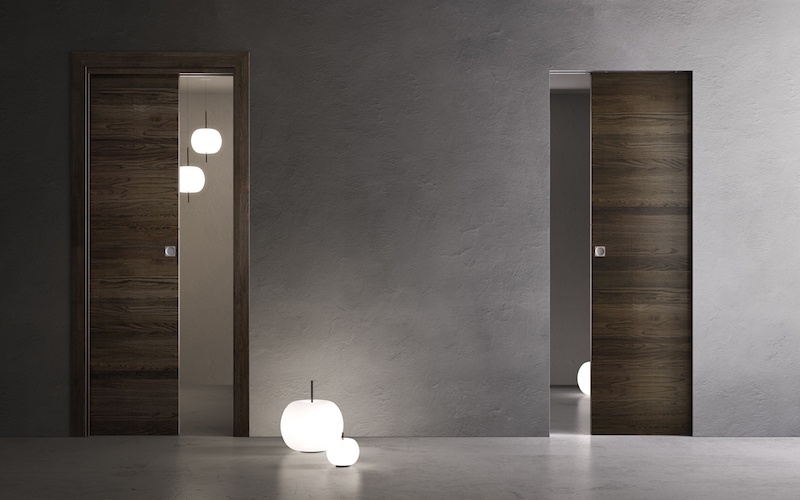 This type of door is perfect for those seeking a more compact version. 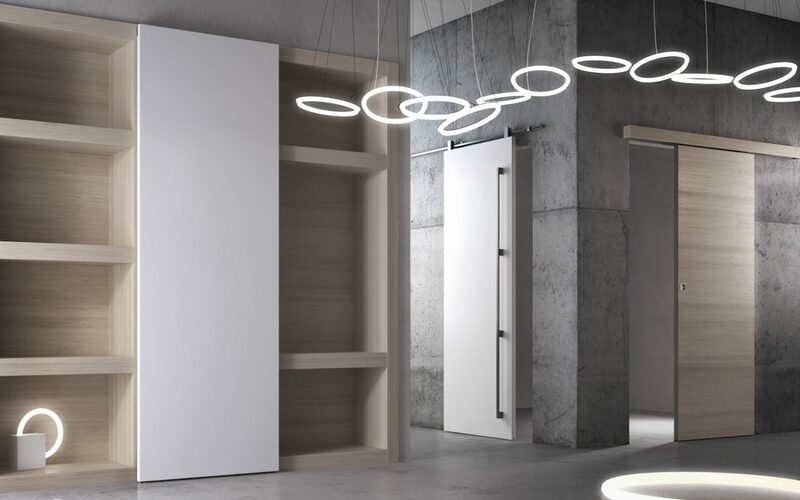 Thanks to our patent, the Biverso door can be opened by pushing or pulling. You can decide how and where to t it at the very last minute, with left or right opening, on any side of the wall, or inside the wall compartment. Since it is flush with the wall, it also guarantees complete integration into the wall and can also blend in seamlessly in the paintable version. The door is secured to a bracket allowing it to rotate around a pin. This is the model to choose when an absolute level surface is needed on both sides. In need of more info? Are you on the hunt for ideas for your design or for more information about our products? Download our catalogues or contact one of our sales points to see the different collections in person.